our factory is a professional LPG tank manufacturer in China, our products fully passed ISO9001-2000 international quality system and 3C authentication. 1. we have the biggest LPG tank trailer in the world, the valid volume is 59.6cbm; low transport costs, more profit. 3. our LPG storage tank ranged from 5cbm to 120cbm. both on the floor ones and in the ground ones. 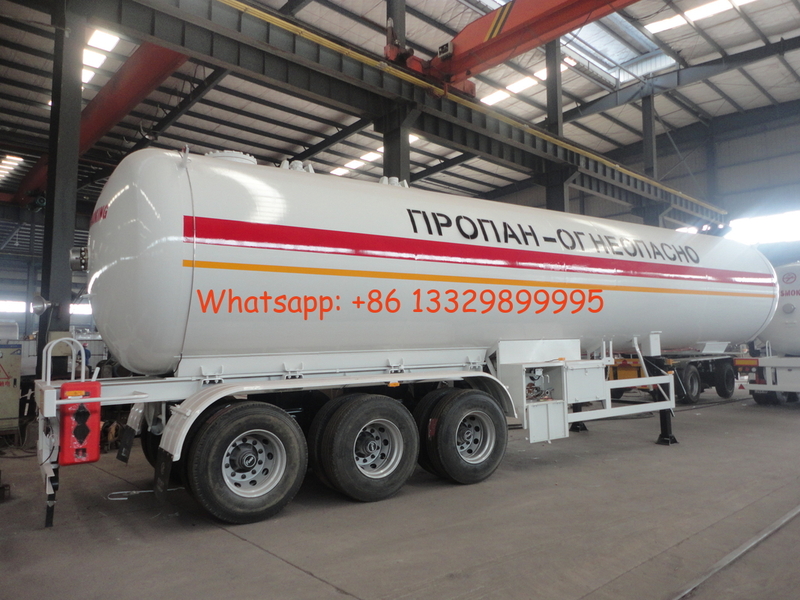 If you're interested in our lpg gas trailer, please send email to szhj9999@163.com or call +86 13886878855. 1. Anti-corrosion coating surface treatment are used sand-blasting, painting, sweeping and other advanced technology. 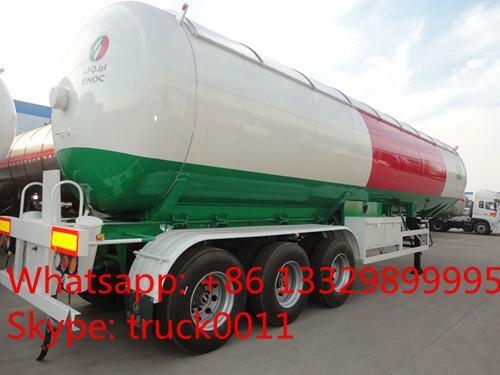 Overall dimension(L*W*H)(mm) 12740×2480×3800 Tanker body dimension(L*W*H)(mm) 2300*12*12,372 Chengli Special Automobile Co., Ltd.
20 metric tons LPG tank semitrailer for LPG GAS adopts 13ton FUWA triple axles, 12 sets 12.00-20 vacuum tyre, and another spare tyre, JOST 28ton outrigger, JOST traction pin, fire extinguisher bottle, anti-static tape. The standard devices are single outlet, double side loading and unloading, double valves boxes, double toolboxes, safety valve, temperature gauge, pressure gauge, cut off valves, 3 axles 13ton FUWA bridges, 12 sets12.00 vacuum tyres and 1 set spare tyre, JOST outriggers, JOST traction pin, one extinguisher bottle, steel flippers, with ABS, etc. 49.6cbm lpg trailer is with the loading capacity of 20 metric tons, choose to install aluminum alloy sunshield cover. 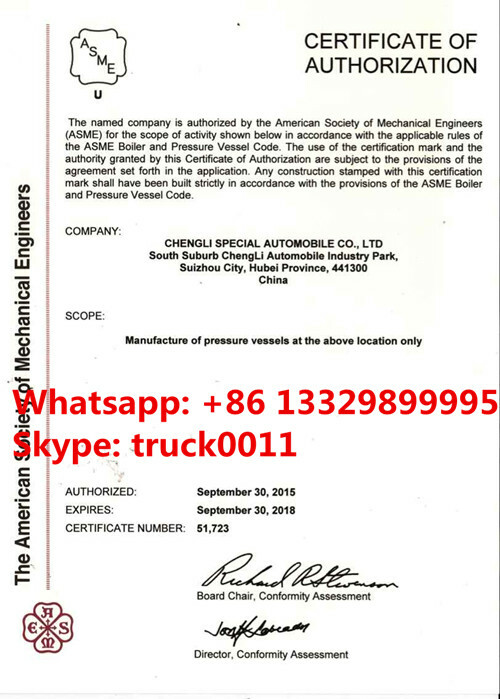 We, Chengli Special Automobile Co.,Ltd is a professional special vehicle manufacturer in China. 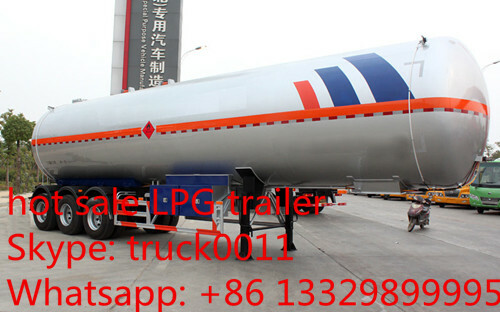 We are a real lpg gas tanker semi trailer, lpg tank truck, lpg storage tank factory. Our lpg tank is 100% x-ray test and export over all the world. The semi-trailer axles can be fuwa axle, BPW axle,etc. The tyres can be steel wire tyre, tubeless tire, Nylon tyre. The landing leg of our semi-trailer can be Jost landing legs, fuwa langing leg,etc. The kingpin diameter of our semi-trailer can be 90mm or 50mm. We also customize the semi-trailer lift axle air suspension, trailer suspension leaf springs. The liquid gas tank trailer we manufacture is from 40m3 to 59.6m3.